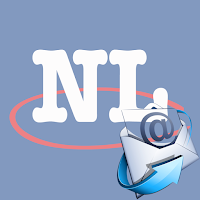 In this edition of Tips and Tricks we will cover how to change or update your email address within your NL Classifieds account. This allows you to keep your existing ads without having to create a new account and lose the ads you currently have or may have had in the past. We're always here to help our users, so sit back, relax and enjoy! Hit the jump to learn more and keep your account up-to-date! In this edition of App Feature Spotlight we're going to explore the Search Filters within the Apps. There are some great additions to the normal search if you now how to use it to full potential. Hit the jump if you're ready to search! In this week’s edition of Tips and Tricks Tuesday we are going to cover the age old question of Editing vs. Recreating your NL Classifieds listings. We hope to save you lots of time in the future and improve your overall experience on NL Classifieds with these weekly Tips and Tricks!